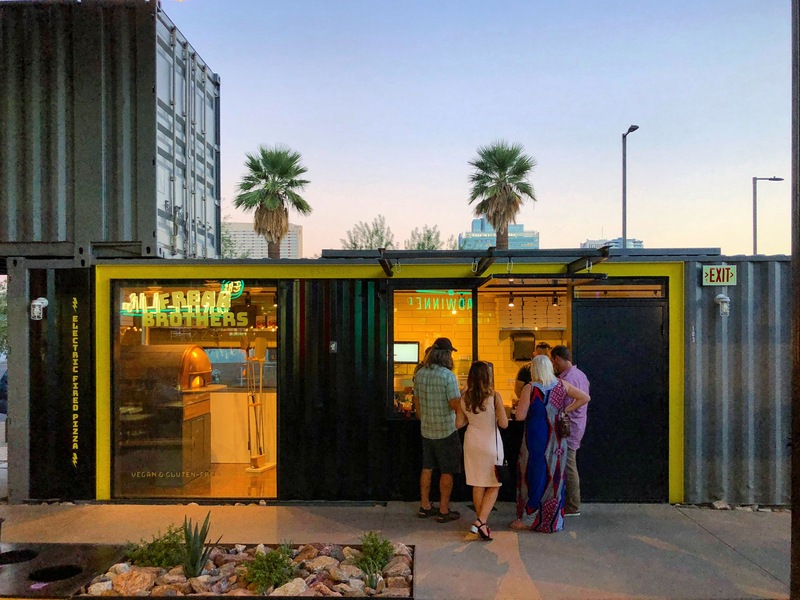 Get a Peek Inside The Churchill Shipping Container Project Before You Head to its Grand Opening - Downtown Phoenix Inc. 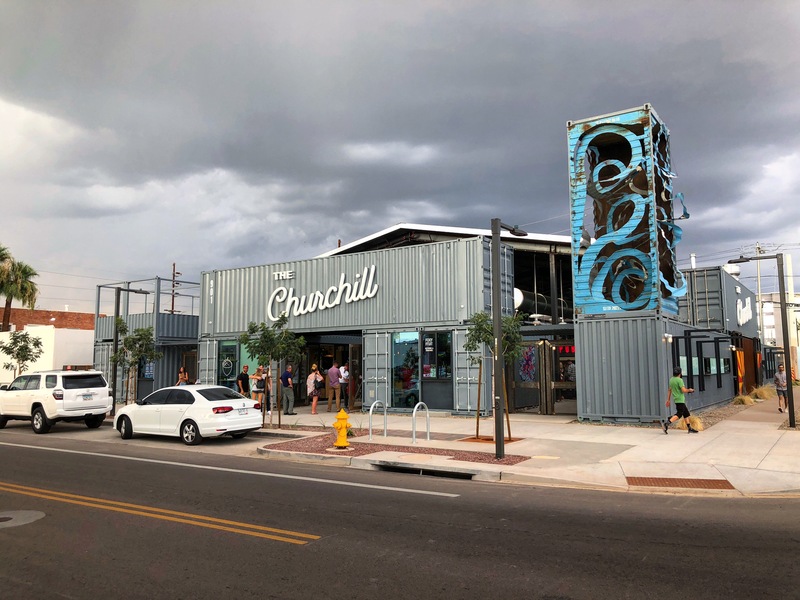 The Churchill, Downtown Phoenix’s first marketplace made from repurposed shipping containers, is slated to celebrate its grand opening on Saturday, Sept. 1. 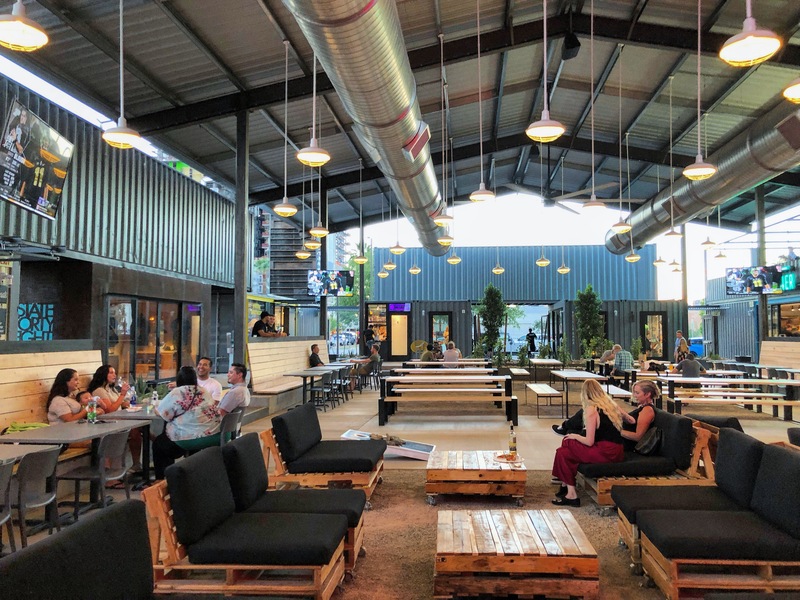 The creative concept brings 10 local businesses under one massive metal roof in the Roosevelt Row Arts District. Food and drink options range from tacos and pizza to açai bowls, cocktails, beer and more. Retailers span from apparel and handmade Mexican crafts, to locally made home goods and bottles of wine. The Churchill, located in its namesake the Evans Churchill neighborhood, gives back to the community through weekly service outings. Each tenant is required to complete at least four hours of community service each month. Volunteer hours started long before The Churchill opened, with more than 110 hours of “social impact” already clocked. Situated on the northeast corner of First and Garfield streets, The Churchill is not only a destination to drink, shop and dine, it’s also designed as a community gathering space. The 9,000 square-foot central courtyard will host speakers, art and fitness classes, pop-up artist galleries and more. 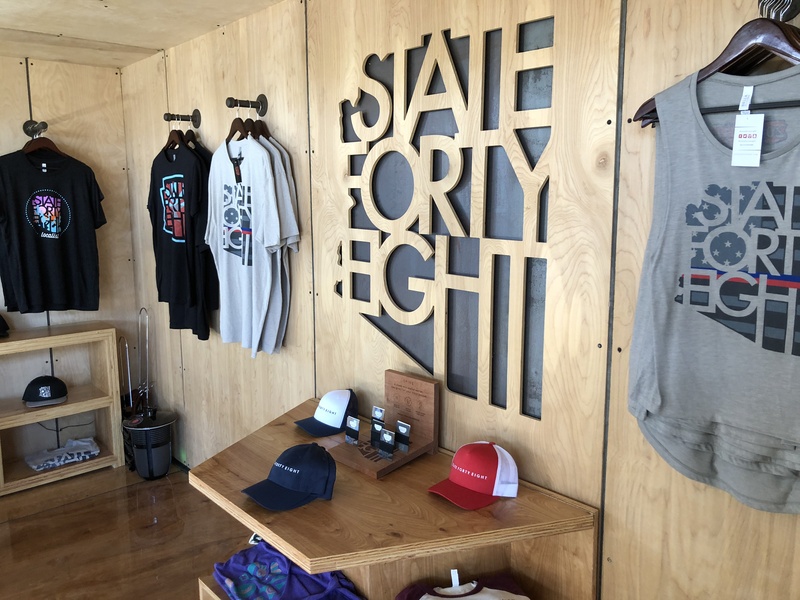 State Forty Eight — People that want to show their Arizona pride can now buy shirts, hats and other clothing at State Forty Eight’s first brick-and-mortar business. 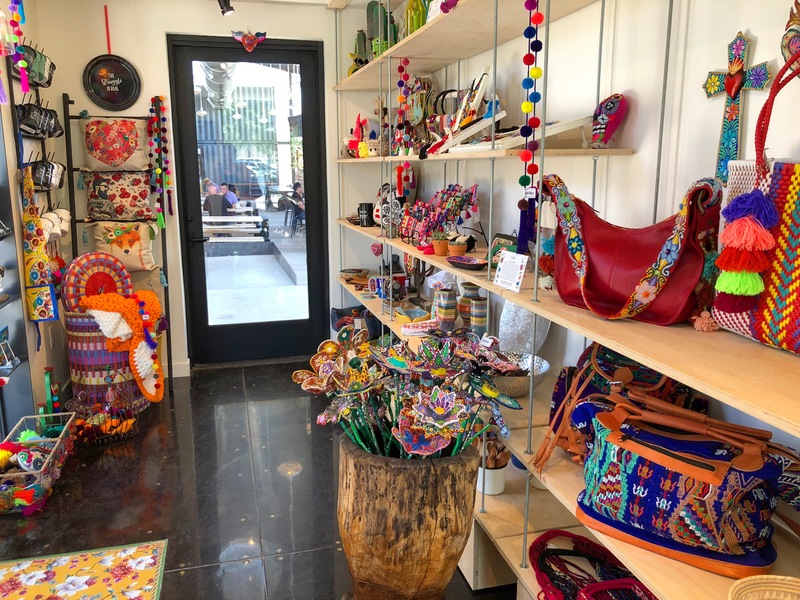 Cosas — A bright and colorful boutique featuring an eclectic mix of textiles, trinkets and totes handmade in Mexico. Several of the goods sold help to benefit social service projects in Mexico. Owner, Julie, lived in Guadalajara the last three years, and was inspired to share some of the culture here in Phoenix. Sauvage — Wine newbies and connoisseurs alike will enjoy the simplified shopping experience at Sauvage. 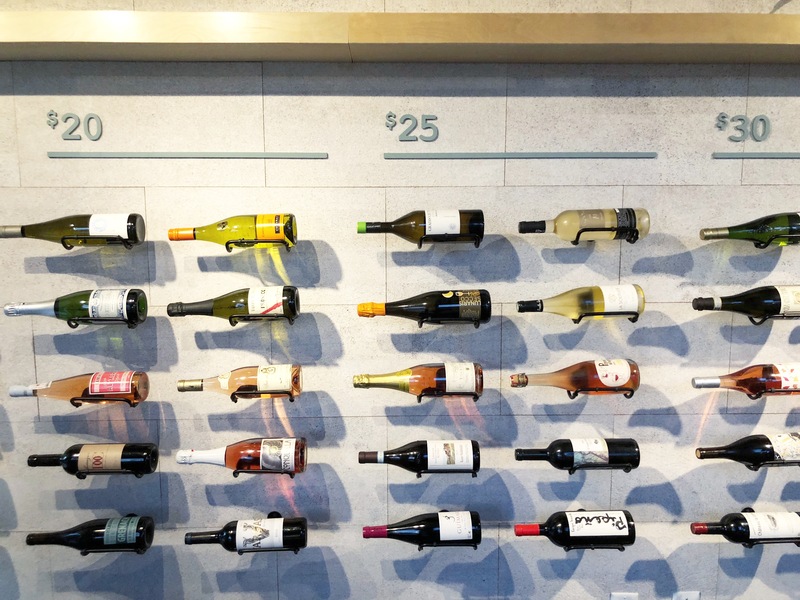 The wine retailer aims to demystify wine by offering 40 artisinal wines at four price points ranging from $15 to $30. Just tell them a taste and texture, and they’ll find the perfect wine for you. 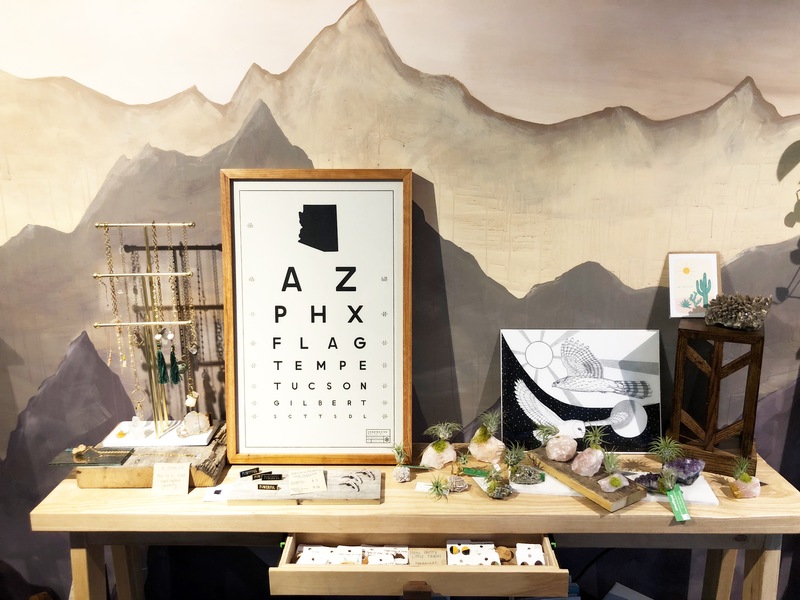 Gather — This cozy boutique invites you in with the invigorating scent of hand poured candles, and sells a carefully-curated collection of lifestyle goods and gifts. The products are ethically sourced, locally made and totally irresistible. 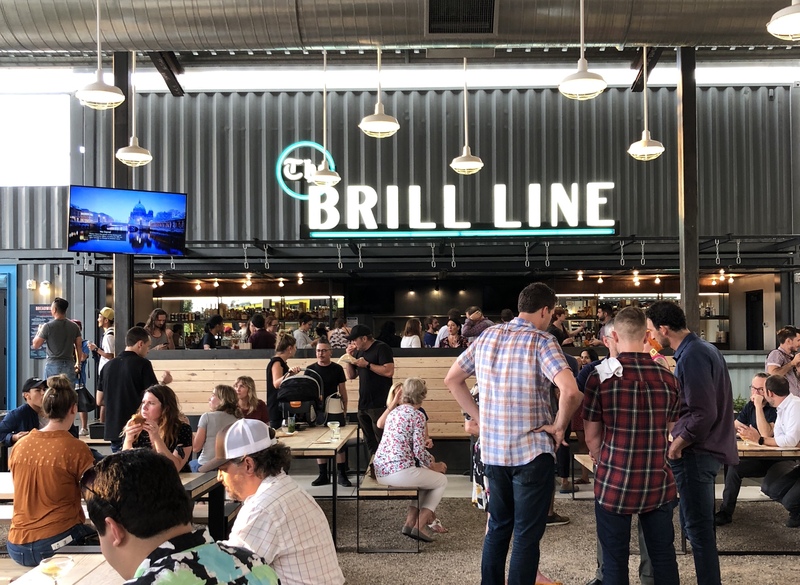 The Brill Line — Featuring regional craft beers and cocktails, The Brill Line is a perfect place to grab a cold one after a long day at work. Check this spot out during the fifth annual Urban Ale Trail on Saturday, Sept. 15. Foxy Fruit Bowls — Organic, vegan and healthy, the menu at Foxy Fruit Bowls features a number of acai and pitaya bowls and smoothies. Whether for breakfast, lunch or to rejuvenate after a hike, these delights are a welcome addition to the Roosevelt Row food scene. 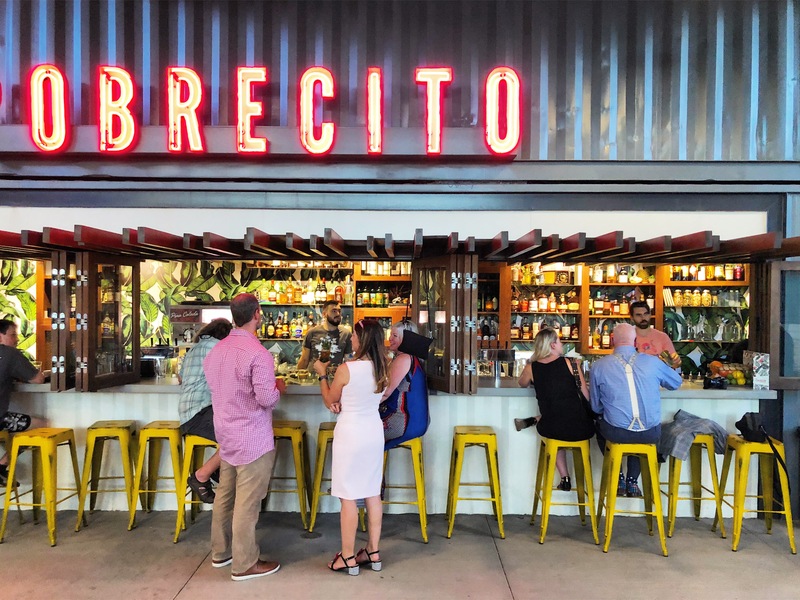 Provecho — Tacos, ceviche, horchata and a long list of other Mexican fare is available on the menu at Provecho. 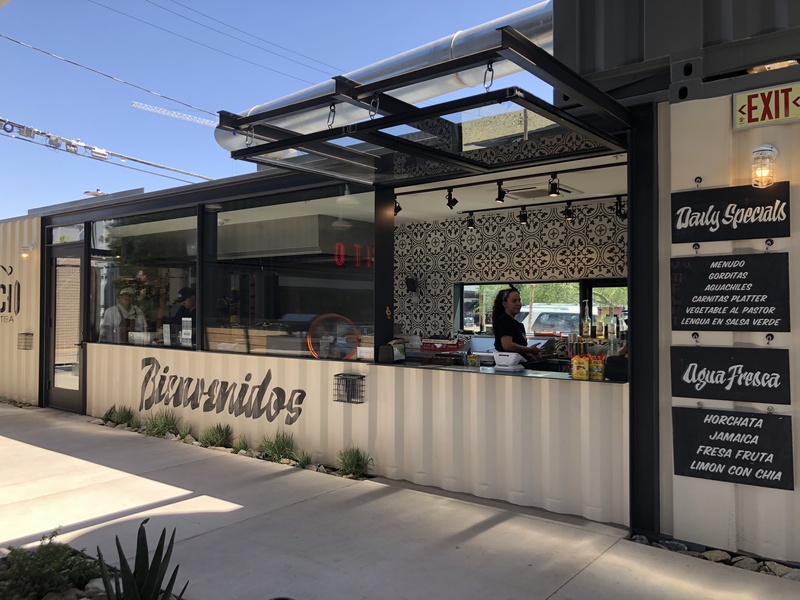 If some of the food tastes deliciously familiar, don’t be surprised — the chef behind Provecho’s menu also heads up downtown taqueria El Centro Cocina Callejera. 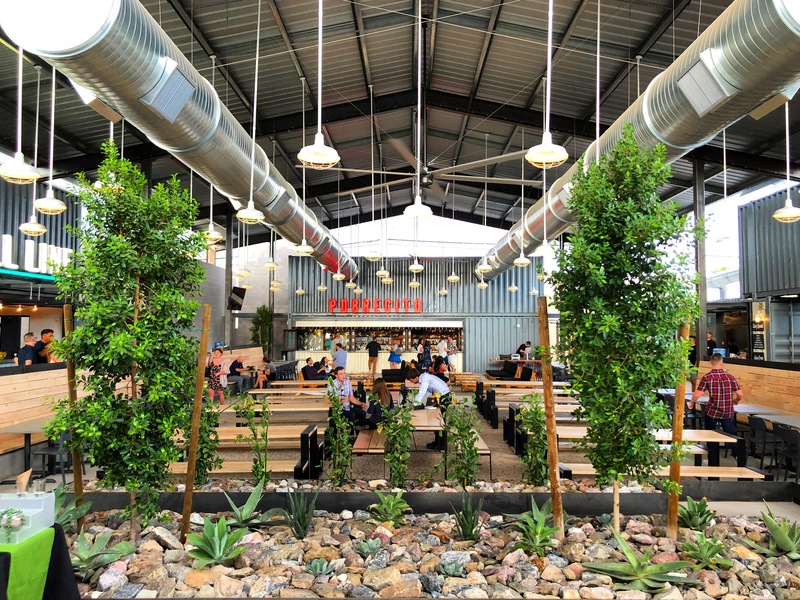 Freak Bros Pizza — After making a name for themselves as one of the top food trucks in the Valley, Freak Brothers Pizza opened its first brick-and-mortar at The Churchill. The menu features pies made from quality ingredients, with vegan friendly options. The Breadwinner — A creative take on hot and cold sandwiches, Breadwinner uses buns locally made by Noble Bread. From duck carnitas to Korean bulgogi ribeye, and creative veggie-filled options for those who may not eat meat or dairy, at this place there’s a sandwich for everyone. 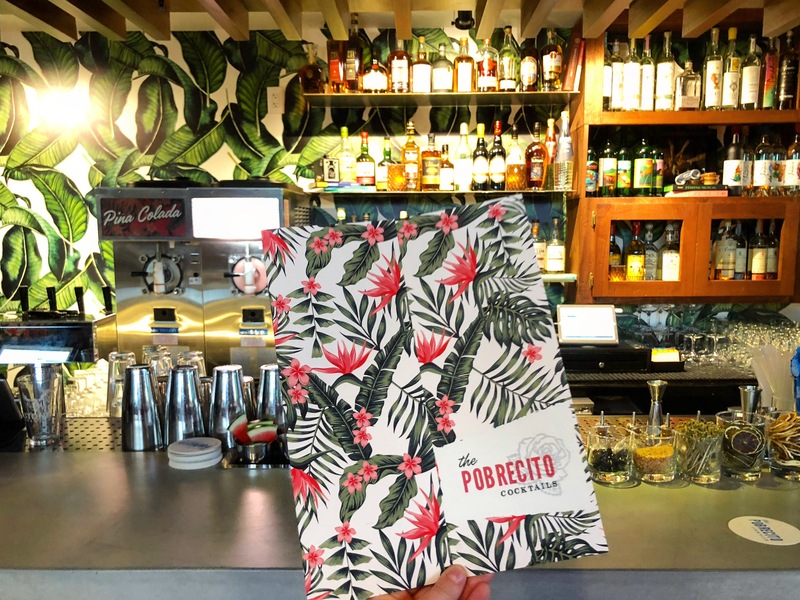 Pobrecito — With palm leaf wallpaper that instantly transports you to the tropics, Pobrecito (“poor boy”) is a cocktail bar with a menu of Cuban and Latin-inspired libations. The Churchill is located at 901 N. 1st Street. Hours: Monday-Thursday from 10 a.m. to 12 a.m.; Friday from 10 a.m. to 2 a.m.; Saturday from 8 a.m. to 2 a.m.; Sunday from 8 a.m. to 10 p.m. Please note: Individual tenant hours vary. 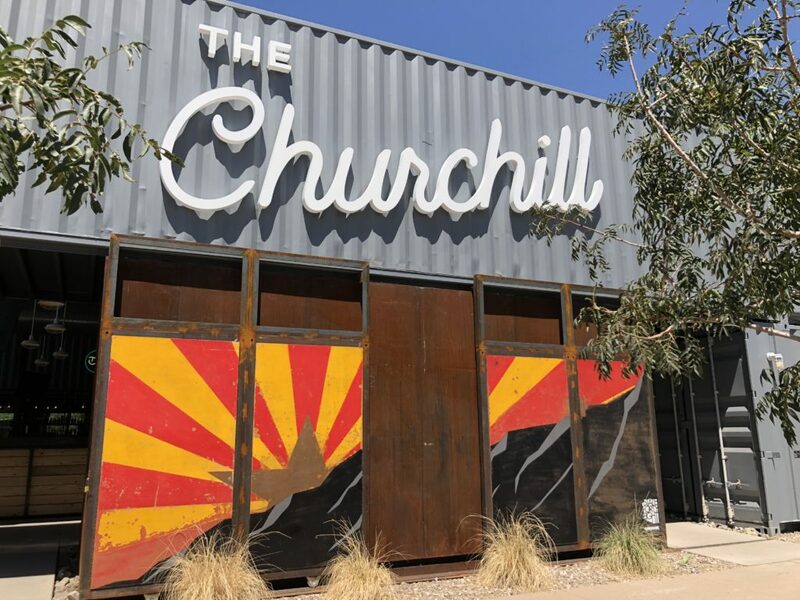 The Churchill is a member of Phoenix Community Alliance, the business membership affiliate of Downtown Phoenix Inc.